The wait is finally over as ‘Superstar’ Rajinikanth’s Kaala has hit screens worldwide starting today (June 7) with out Kaala review now out. The action gangster film directed by Pa. Ranjith under Dhanush’s Wunderbar Films banner with music by Santhosh Narayanan has opened to a terrific response worldwide. Meanwhile, an individual named Praveen was arrested in Singapore during the premiere show of Kaala held yesterday (June 6) after he live-streamed the film on his Facebook page. 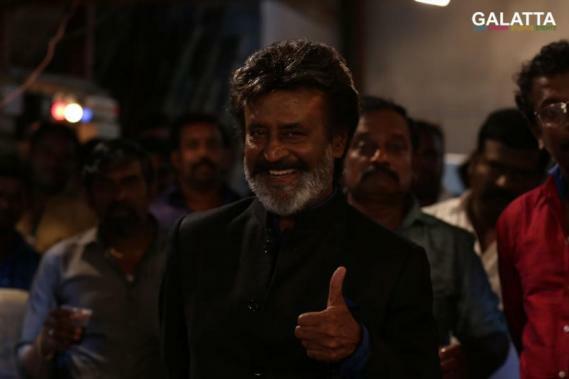 When the news gained steam yesterday that Kaala was being live-streamed on Facebook, producer Dhananjayan took to Twitter to post a tweet on the matter. Shortly thereafter, Tamil Film Producers Council President Vishal shared his response to Dhananjayan Govind saying the issue had been sorted out and that the individual was arrested.